I use cashew butter instead of cashews as it just blends in more easily and reduces the prep time to soak the cashews for a few hours. 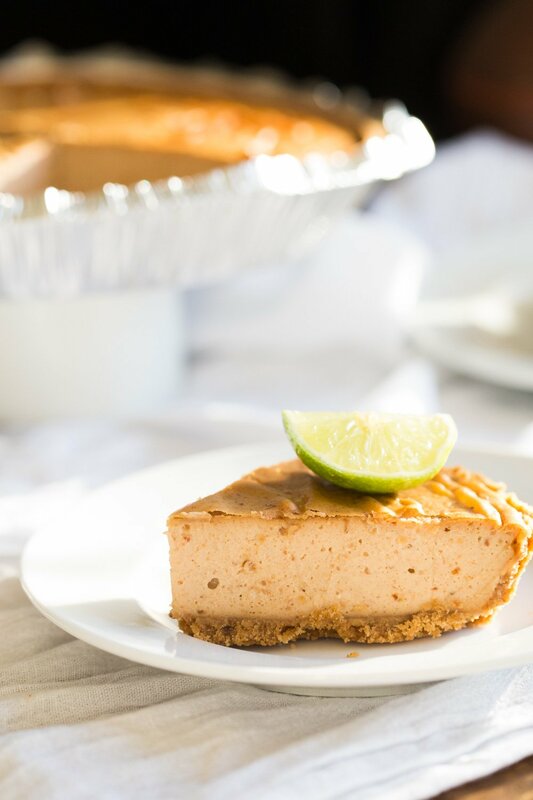 Cashew Butter can be subbed with other smooth nut butters (peanut butter will add a very strong flavor so it will be a peanut butter cheesecake), Or you can use 3/4 cup soaked cashews or soaked macadamia nuts. 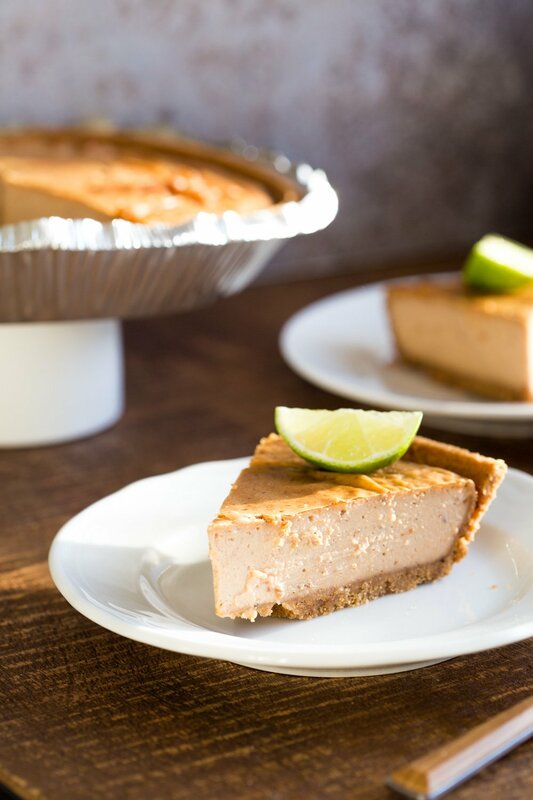 The non dairy yogurt adds great flavor and lighter texture to the cheesecake. Without it the cheesecake filling is still creamy but denser. You can use more of the cream cheese and cashew butter instead. I use kite hill Vegan cream cheese since it has just a few wholesome ingredients and no additives and gives amazing flavor. Unfortunately cream cheese cannot be subbed out without affecting the flavor. You can make some vegan cream cheese at home using nuts and substitute that. I use dates for sweetening for a mild sweet flavor. They do add to the look of the cheesecake but can be easily subbed. They can be subbed with 1/3 cup sugar or maple syrup. If using maple syrup, do not add any additional water during blending. Dates can vary in sweetness, so adjust the filling sweetness with sugar before baking. Assemble the filling ingredients. Add to a blender and blend until very smooth. Taste and adjust sweet and flavor. 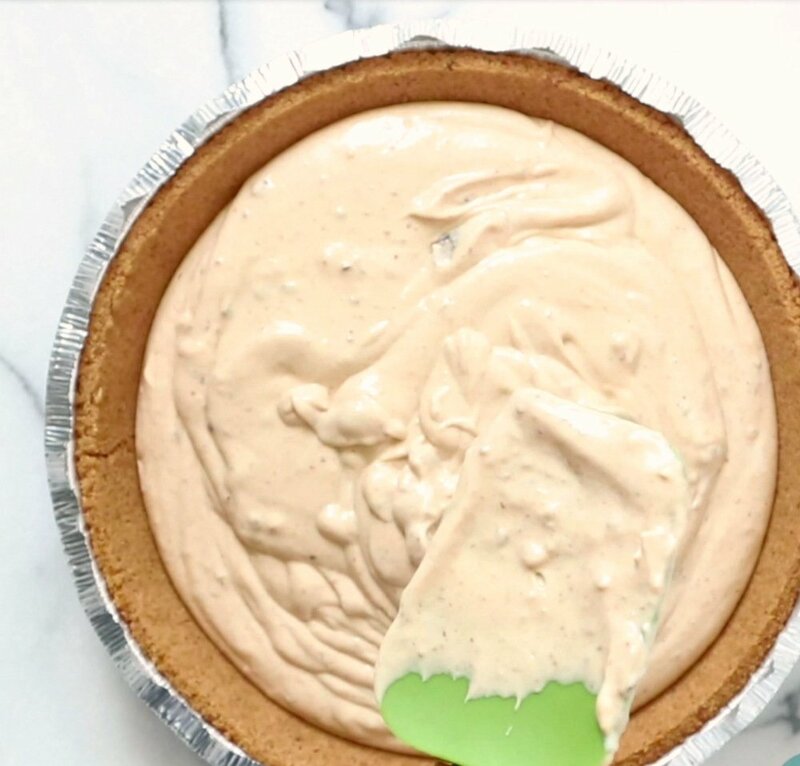 Pour into a prepared pie crust. Bake for 35 mins. Chill then slice and serve. Prep and par bake the crust of choice if you havent already. Preheat the oven to 350 deg F (180 C). Blend all the ingredients under cheesecake. Taste and adjust sweet and tang. The tang gets stronger with baking. Add a few tablespoons sugar if needed. Add 2-3 tablespoons water if needed for blending. Pour into prepared crust and spread with a spatula to even it out. Bake for 35 to 45 minutes(depends on the cream cheese brand, moisture content in the filling, choice of ingredients. The top should be set and center should not be liquid). Cool completely. Chill for 4 to 6 hours. Slice and serve with whipped coconut cream or vegan ice cream of choice with fresh berries or a berry compote. Crust: Use my graham cracker like crust Or use my almond crust for glutenfree and refined sugar free crust. 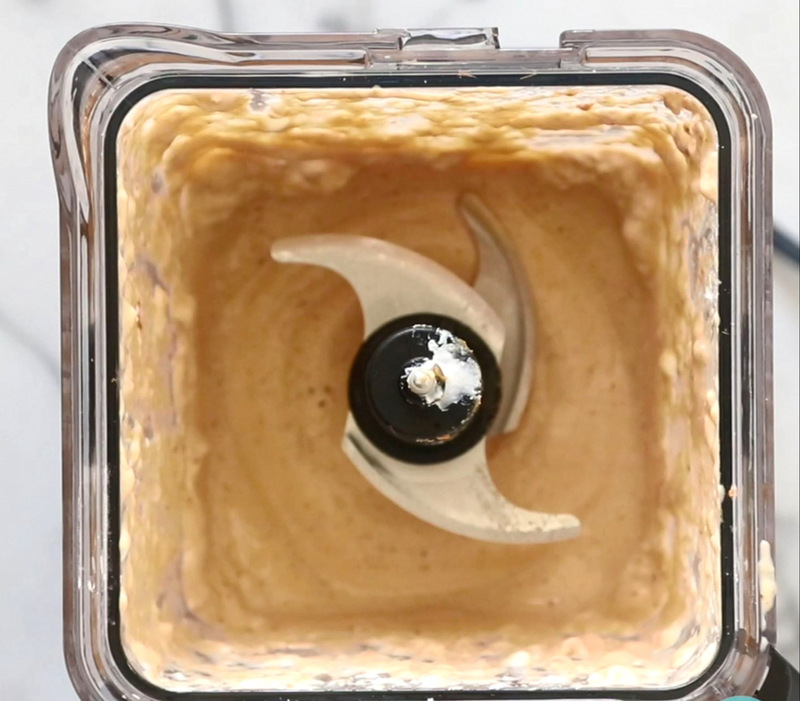 Cashew Butter can be subbed with other smooth nut butters, or 3/4 cup soaked cashews or soaked macadamia nuts. 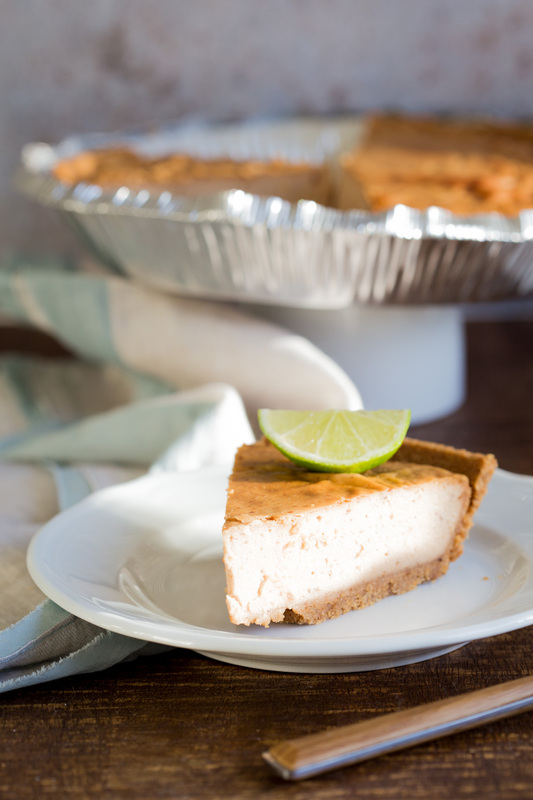 The non dairy yogurt adds great flavor and lighter texture to the cheesecake. You can possibly use more of the cream cheese and cashew butter instead. Vegan cream cheese unfortunately cannot be subbed out without affecting the flavor. Dates can be subbed with 1/3 cup sugar or maple syrup. If using maple syrup, do not add any additional water during blending. Dates can vary in sweetness, so adjust the filling sweetness with sugar before baking. 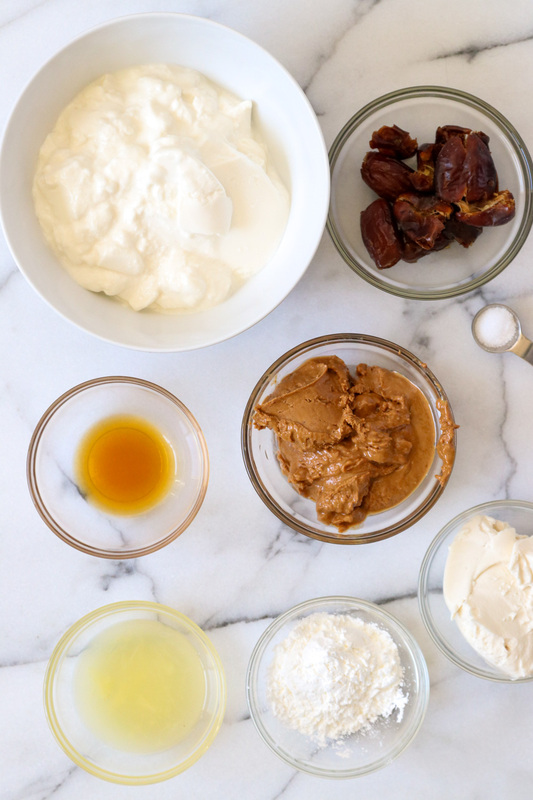 Would tahini work instead of cashew butter? thanks! what was not expected? I’ve read about mango pie recently and I’ve had mango on my mind! 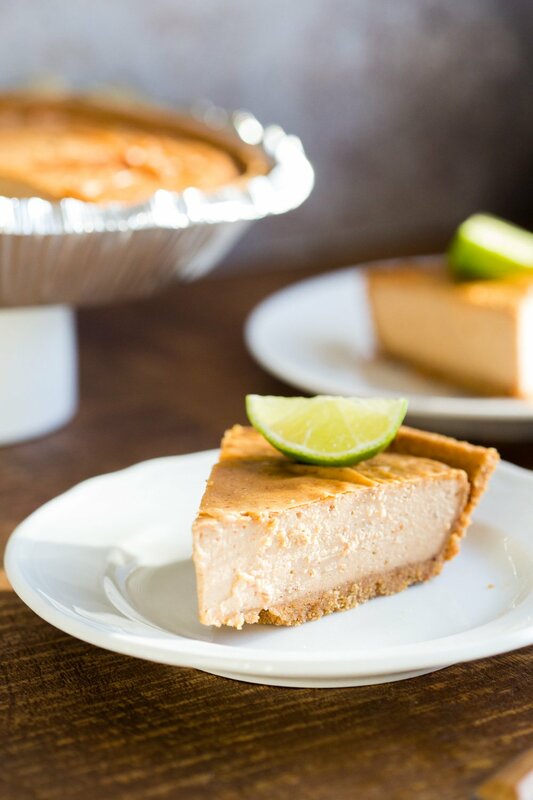 Do you think it would work to sneak some blended mango puree into the cheesecake filling? yes definitely. 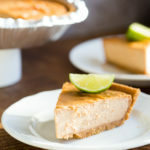 See my pumpkin cheesecake https://www.veganricha.com/2017/12/vegan-pumpkin-cheesecake.html for reference and use thick mango puree instead of pumpkin puree! use less lemon and less spices. If your mango puree is not thick, just simmer it for 5-10 mins to thicken and reduce moisture before using. Can I remove the 3 tablespoons of coconut sugar to make it 100% date sweetened? Or add more dates? If using Deglet dates, how much should I put for the filling recipe? Does this hold its form at room temperature? Thanks for replying. Yes you can. Just add 3-4 more dates and taste the filling after blending. Add more dates if needed and blend again. Would arrowroot work in place of cornstarch?